Roland Stika SV-8 vinyl cutter/plotter is the perfect desktop cutter ideal for small offices, schools, and hobbyists. Roland Stika SV-8 accepts 8.5in. wide media and cuts up to 6.2in. wide. With the Roland Stika SV-8 vinyl cutter/plotter you can produce colorful labels, POP displays, iron-on graphics for t-shirts, and vehicle graphics. Creating vinyl graphics has never been easier or more affordable. Roland Stika SV-8 is your complete solution packaged with everything you need to get started. 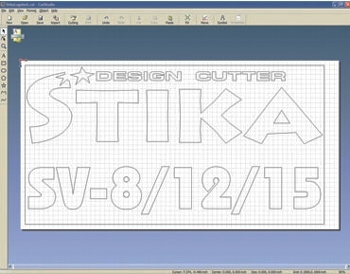 Creating professional-looking graphics is a breeze with the Stika SV-8 vinyl cutter/plotter. Simply deign your graphics with bundled Roland Cut Studio Software, peel away the excess vinyl, and apply. It’s really that simple! 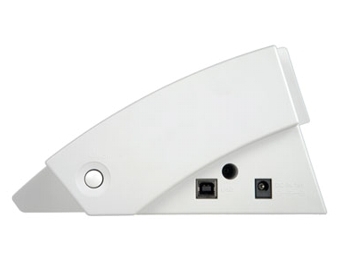 Connectivity via USB interface makes for easy connection for both Mac and PC systems. Roland Stika SV-8 vinyl cutter/plotter is the perfect plug-and-play system with everything you need to get started right out of the box, including the USB cable. There is even a set of media guidelines to help ensure correct media positioning for quality production. 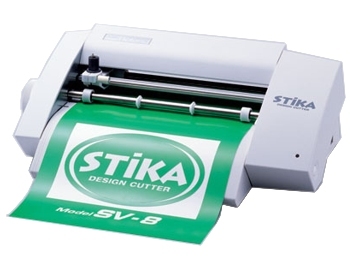 Roland Stika SV-8 is an ideal vinyl cutter/plotter for a wide variety of applications. Create custom signs, labels, decals, stickers, vehicle graphics, etching material, retail displays and heat transfers for apparel. There is even a tiling feature which allows you to produce larger signs by tiling several smaller images to produce one larger image. The Roland SV-8 vinyl cutter/plotter also makes a cost effective print/cut solution. You can connect the Roland SV-8 to a computer attached to a standard desktop printer and create contour cuts of printed images. Simply print registration marks on the printed material you desire, load the printed graphics into the cutter and set the position of the registration marks using the Stika driver. You are now ready to contour cut graphics perfect for creating colorful POP displays and iron-ons. The Roland Stika SV-8 vinyl cutter/plotter comes with the latest version of Roland Cut Studio at no additional charge. This powerful design software lets you reduce, re-position, rotate, tile and mirror images. You can even cut TrueType fonts without having to outline them. From simple lettering to colorful sign graphics, Cut Studio makes it easy to be creative. With the Roland Stika SV-8 vinyl cutter/plotter and Cut Studio, you can draw and edit circles and curves, add text along an arc, and import photos and graphics. For more sophisticated graphics, you can combine rectangles, circles, polygons, lines and curves. Roland Cut Studio supports BMP, JPG, STX, AI, and EPS file formats. The Roland Stika SV-8 is compatible with Windows 98 SE/Me/2000/XP and Windows Vista and includes plug-in software for Adobe Illustrator 9/10/CS/CS2/CS3 and Corel Draw 10/11/12/X3 for Windows; as well as, Adobe Illustrator 9/10/CS/CS2/CS3 for Mac. As a result, users can send data directly from any of these programs to the Stika SV-8. In addition, Roland Stika SV-8 comes equipped with the Stika Navi on-screen operation panel. Using the Navi panel and your mouse, you can move the cutting blade into the optimum start position for precision results every time. This unique feature makes vinyl cutting even easier and helps maximize media usage.